You are here:Home/Sales & Hire, Temporary shelters/Temporary Shelters go with a Bang! Temporary Shelters go with a Bang! 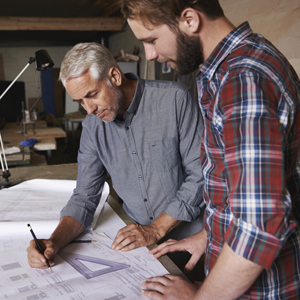 Aquila Shelters has been supplying temporary shelters for over a quarter of a century. Our temporary structures have been used for a variety of purposes such as lighthouse location shelters for the BBC, tented villages at a power station open-day, temporary lambing shelters on a farm and even frozen turkey storage at Smithfields market in the run up to Christmas. Our modular structures are designed to cover any shape and size of area and withstand even the most extreme weather conditions. 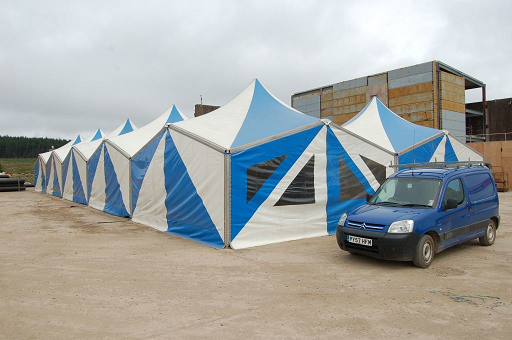 Aquila was contacted by GL Noble Denton to provide a large temporary shelter at their test site which carries out a wide range of destructive and non-destructive testing services for the international oil, gas and security industries. This was the first time Aquila’s shelters were used in a fully operational heavy industrial context. 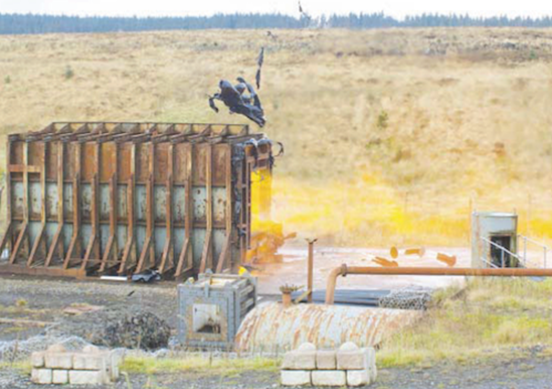 While Aquila was pleased to learn that there were no plans to explode any of it’s temporary shelters the job specification required a 4,000 square foot temporary shelter over a number of large steel pipes while they were fitted with monitoring equipment. Arriving at the high-security site wearing the correct PPE equipment Aquila was given a thorough induction and safety briefing before being escorted to the plot by Dan Allason, GL Noble Denton Project Engineer. Once on the plot Aquila surveyed the area with the pipes already in situ: a number of 11-meter long steel pipes at 2m intervals. With a pipe diameter of at least 1500mm the shelter needed to provide enough vertical clearance as the pipes were raised from the ground on wooden blocks. Aquila installed 10 of its 6m square modules on the plot while safely working around the large steel pipes. The highlight of the day for the rigging crew was being escorted off-site before a controlled explosion took place. Once at a safe distance the team was able to watch a live test take place before returning to the installation area. In just under 5 hours the 4,000 square foot temporary shelter had been built, secured and fully walled. As a temporary shelter the structure will be used for a period of 5 weeks before it is removed. However, GL Noble Denton has stated there may be an opportunity to leave a smaller temporary shelter in situ for a longer period subject to their demands. Working in remote and challenging locations is not new to Aquila. However, it was the first time the company has supplied shelters in an operational heavy industrial setting. The enormous scale of infrastructure used by the oil and gas industry is handled by the flexibility of Aquila’s modular structures that can be shaped around anything. 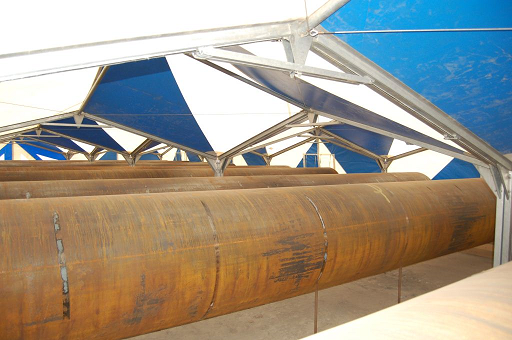 Aquila Shelters has been serving another heavy industry for over one quarter of a century by supplying marquee shelters at the Hillhead Mining & Quarrying event in Buxton, UK. At this international event our marquee structures share a stage with 50-tonne plant machinery. Aquila Shelters is a national company based in the North West of England, an area poised to be at the leading edge of hydraulic fracturing (fracking) due to the proximity of the Bowland Shale, the world’s largest shale-gas field – underneath Lancashire and Yorkshire. This could add £7bn a year to the UK economy and create thousands of jobs as well as the need for proven temporary shelters! Click here to read more about our Temporary Shelters and Event Shelters.